Woo hoo! My goal of playing all the Final Fantasy games before FFX HD was released has failed spectacularly! 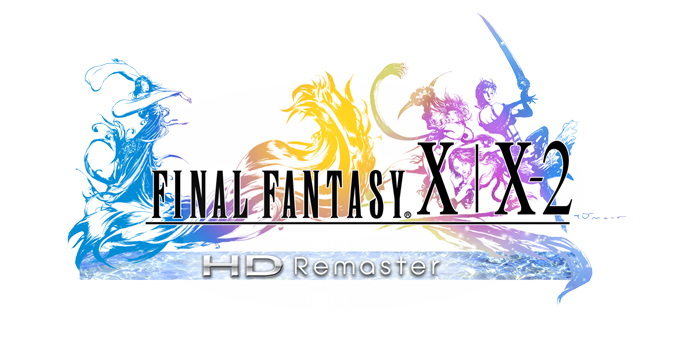 I had the game on preorder and started a half-arsed Let’s Play FFX on Tumblr, but what I really want to do is post a tidied-up “director’s cut” here. 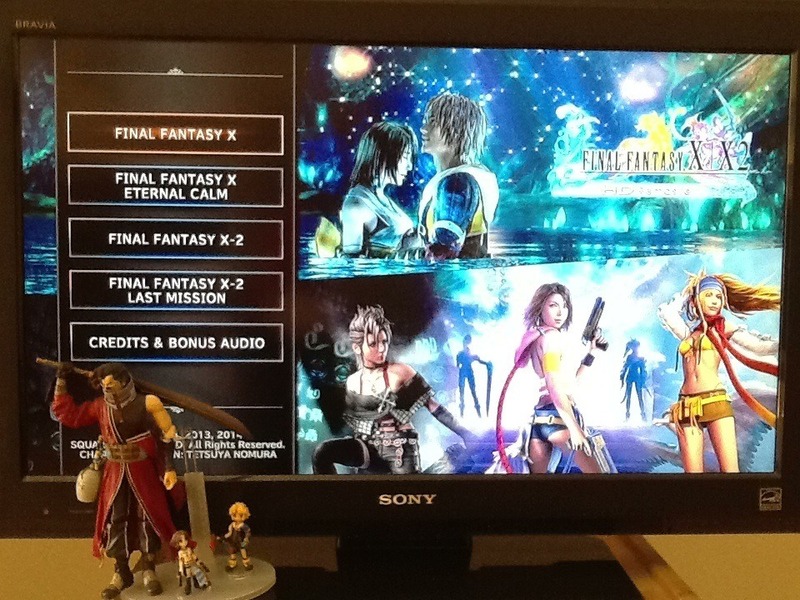 Because, while it’s not my first Final Fantasy, FFX remains my favorite. Yep, I’m the lunatic who transcribed the entire game script because there’s so much that Yuna’s party never sees. Do you love Blitzball Kid? Do you want to know why that paparazzi in the blue sweater kept photographing Yuna? Are you curious what Kinoc and Seymour were really up to behind the scenes? Curious what the inscriptions on temple walls and Al Bhed shop signs mean? You’ve come to the right place. Please allow me to channel my inner Maechen for you. 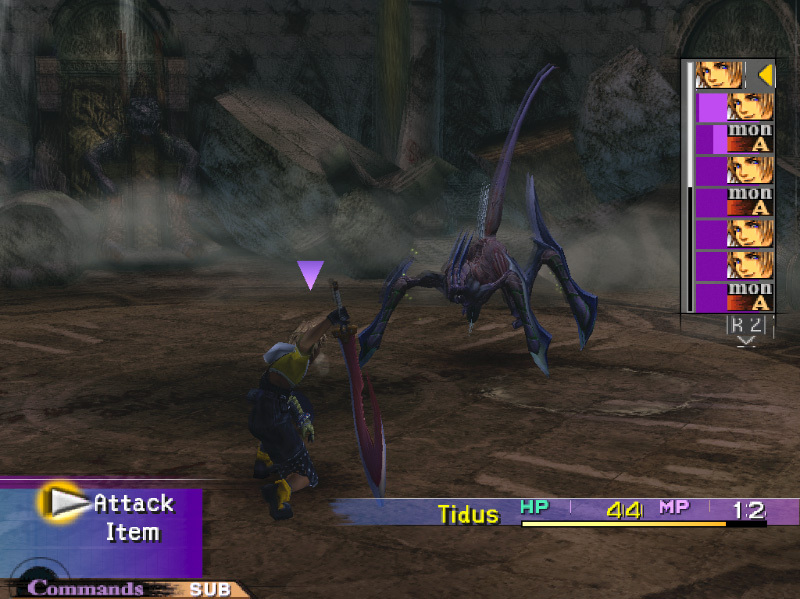 Alas, one thing I can’t do is screengrab my PS3, so I’m gonna have to emulate FFX original for my own screencaps. For full HD beauty shots, check out Dansg08’s superb commentary/video PS3 walkthrough or DavetheUsher’s PS4 Playthrough. You’ve probably played the HD version anyway, so there’s no need for me to remind you how pretty it is. Besides, while the remaster has given the backdrops of Spira a glorious makeover, some of the characters have suffered from their plastic surgery (poor Wakka). 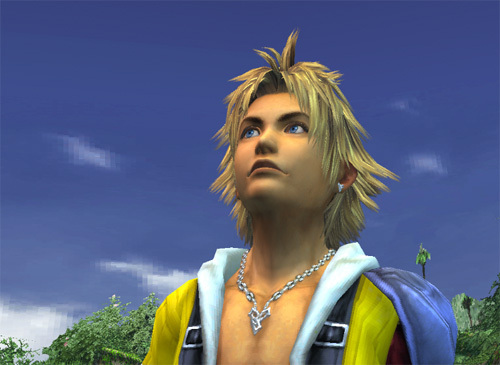 FFX just isn’t the same without duckface Tidus, is it? P.S. If you spoil the audio epilogue, I will borrow Paine’s sword and disembowel you. I’ve had most of it spoiled, and from what I’ve heard I’m not going to like it, but allow me to entertain the delusion that I still have something new to look forward to, OK? I originally posted this on Tumblr, but it’s so hard to find old posts there that I’m archiving it here. Even though I won’t reach these two games in my playthrough for a year. Have a does of Meta! I like both Final Fantasy X and XIII, although the pacing, plotting and worldbuilding of XIII show the duct tape and staples of development hell. Yet the characters in both games are passionate, complex individuals with hidden motivations and a great deal of personality, despite their tendency to slot into archetypes at first glance. 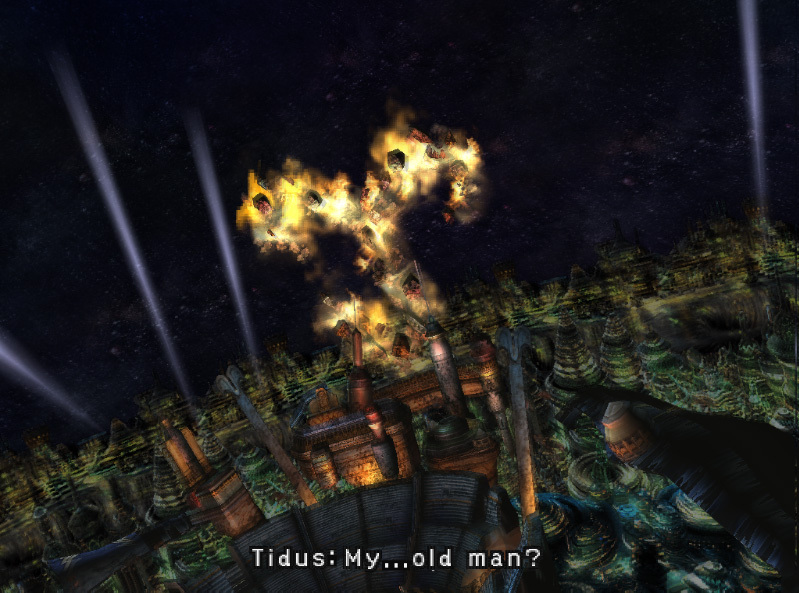 The messy dynamics between the party members in XIII, I think, are the game’s greatest strength. It fascinates me that the two games’ kumis start out almost as inverses of one another. In X, every party member cares tremendously for some of the other party members. The four from Besaid grew up together and are all deeply devoted to Yuna and to one another, united by bonds of trust and understanding and old friendship (and occasional squabbles). Tidus falls for Yuna and likes Rikku and looks up to Auron when he’s not bawling at him. Rikku cares enough for her cousin to pledge herself as a guardian, despite her upbringing. Auron is more aloof, but betrays occasional gruff fondness that goes above and beyond that of duty to dead friends’ children. They’re a kumi from the start, quickly adjusting to adopt new members into the kumi. 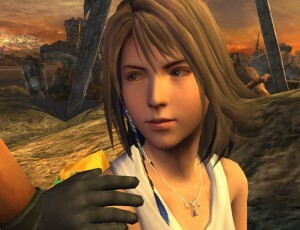 In FFXIII, every party member cares tremendously for someone outside the group. At first, none of them care for one another except Fang and Vanille (who are separated). Lightning is dedicated to her sister and takes out every frustration on Snow. Snow is dedicated to Lightning’s sister and barely paying attention to those dragged under in his wake. Fang will “tear down the sky” for her missing girlfriend, and will certainly tear apart a few strangers on Vanille’s behalf. Vanille’s in cloud cuckoo land to avoid inner turmoil, but she’s hunting desperately for her girlfriend. Hope’s missing his mom and doesn’t want to be with any of these crazy people, although he soon latches onto Lightning as a surrogate. The sane guy, Sazh, is in it only for his son. So the dynamics are inverted: in FFX, the group starts out interconnected by a network of loyalties and shared pasts, whereas in FFXIII, they begin with nothing in common and with disparate loyalties pulling them outward. 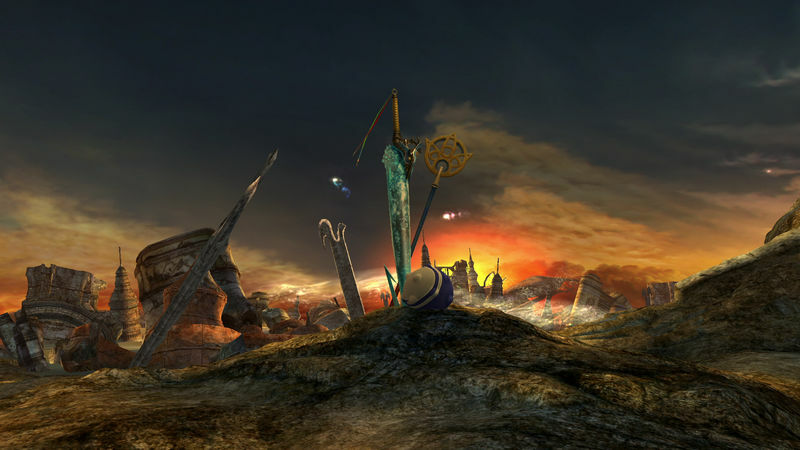 The first half of FFXIII, up through chapter 7, is simply the process of forging connections between members of the group so that they can become a group, a kumi. Both arcs work for me because I like characters motivated by fierce love for and loyalty to other characters. It means I tend to fall for the tired old romance tropes, but I don’t necessarily fix on the romantic storyline, so much as the ones of friendship, devotion and trust. Luckily most of the FFs play with those tropes, too. But FFXIII, more than most, is about the spectrum between rejection, trust and blind obedience.